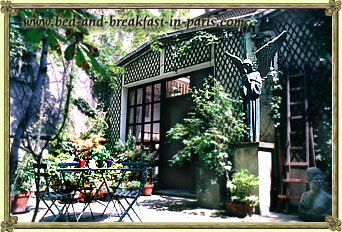 The accommodation offered by Anne and Jean-Pol is located in the famous 6th Arrondissement of Paris. The Parc du Luxembourg, Montparnasse or Saint Germain des Prés are not far away. Once this completely new-arranged house has been an antique studio of an artist. With your hosts you will have a private bed -, living - and bathroom as well as a private entry so that your independency will be kept. It is a comfortable accommodation in which you will be welcomed cordially. Simply said: like in your own family.